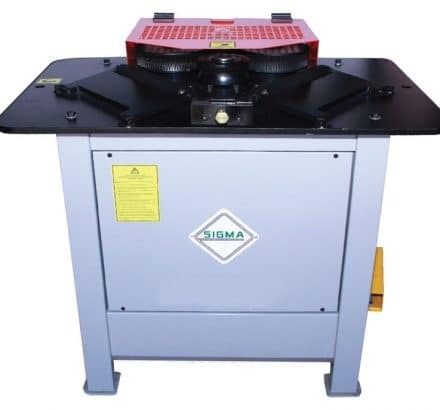 Our Sigma Series Professional DSX-25 Production Spiral Rebar Bender is used to accurately shape reinforcement bars, bending hoops and spiral depending on the bar diameter. It is equipped with high-quality gears and an industrial motor that is easily bends #8 bar in a circle pattern. This in-shop production tool. The steel frame and housing have a powder coated finish for durability and the mechanical gears are manufactured with specially heat treated alloy steel.